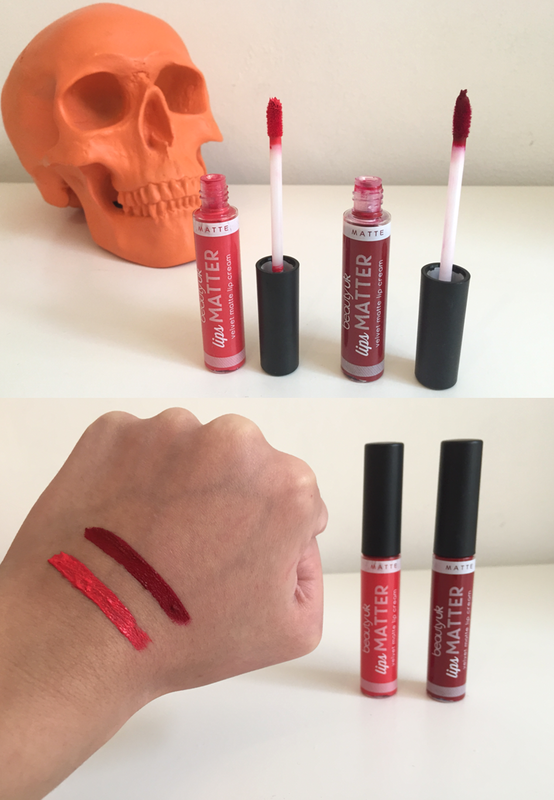 I recently received two of the Beauty UK Lips Matters* shades, as I've said many times before, shimmer make-up is totally out of my comfort zone, so matte lip creams make me very happy. I have been a fan of Beauty UK for years now, the price, packaging and colour range is incredible and the Beauty UK Lips Matter collection is no exception. There are eight shades in the complete range and the colours include nudes, peachy pinks and a few reds. Pretty much your every lip need! The two shades I received are called No.1 Bond, Mrs Bond and No.3 Curious Coral. When I first tried the lip creams, I was so impressed with how silky and smooth the texture was, even though the formula is supposed to be matte, it was not dry on my lips. Oh wow! The pigmentation level is insane! And I love that they are creamier. That sounds so so amazing.